Each Chakra relates to us on physical, spiritual or emotional level. 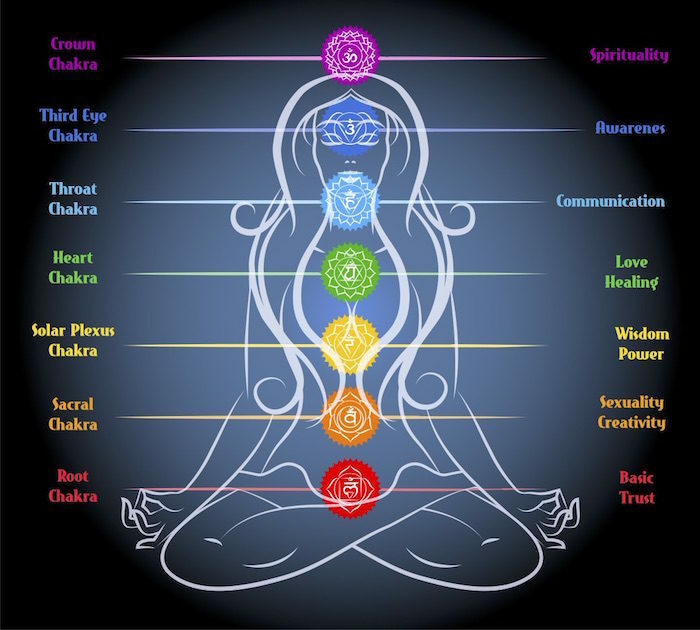 Working with Chakras is an holistic practice, i.e. whole body. Western views on the body are that we deal with the specific affected area. However, many Eastern cultures know that we must view and treat the body as whole. If we do not deal with the underlying issue we will continue to suffer. It is situated around the base of our spine and our genital area. It relates to our sexual self, grounding ourselves and our link to earth. It is located just below your belly button. It is linked to our pleasure in life, our sense of self and creativity. You can sense it at your belly button and above. This is associated with our 'gut feeling', confidence and wisdom. It is situated in the centre on our breast in line with our heart. It relates to our physical heart, our love for ourselves, our love for others and love for our fellow living beings.. It is located at the centre of our throat. It associates with our throat, our voice, speaking our truth, sticking up for ourselves clarity and truth. It is located in the middle of the forehead just above the eyebrows. It connects us to our psychic selves, our foresight and the world beyond our five senses. This Chakra is white violet in colour. It is located on the top of our head. It connects us to the universe, our angels, our guides and the universal energy that flows through us. Over the next seven months we will learn more about Chakras and how we can work with them to improve our lives.